A yen is worth less than a U.S. penny. I got to wondering why the Japanese would count in yen. Kiloyen seems more reasonable. Then again, I guess it’s relative. Is there a Japanese word for a fraction of a yen? Who would need it? If all Americans had always counted in pennies, we’d be used to that. We wouldn’t need a word for a hundred or a thousand pennies. I remember my first year at university we would use pennies as projectiles. They were large enough to hurt, but too small to cause serious injury. Nobody put an eye out. We called them wafers. Tuition my 2nd year went over $10,000. We complained about getting a bill for a megawafer. TIL @root9B. A local cybersecurity company; root—as in once you have root access you own the system)—and 9B is hex for 911. Such geeks. I love the name! I haven’t figured out how to optimize replies on other sites with Micro.blog. And maybe this really is what I want. A blog post based on a comment I made. Yeah, that’s it. This post was inspired by my comment. Uh. These reasons are universal. I’m a young baby boomer. Please don’t call me, either! 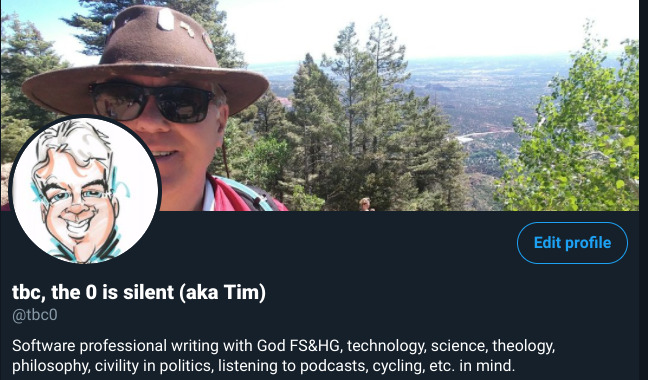 Though I’m publishing this post after midnight on March 22nd, I fixed my Twitter profile—and my blog—on the 21st. I’m mortified that the Internet Archive will forever contain this mistake. Oh, well. Moving on. It would have been appropriate for this to be the first blog post I’ve written at tbc.micro.blog since I enabled cross-posting, but that happened 10 days ago. (I syndicate at twitter.com/tbc0, medium.com/@tbc0, and facebook.com/timchambersusa.) I gave up on Medium when they started charging real money for crap writing. (No, it’s not all crap. I’m generalizing.) I syndicate there only because I can. I’ve already pretty much given up posting on Facebook. I intend to blog more and Twitter less from now on. But back to the goose egg. As a computer scientist, I would never pronounce “0” “nil,” because they mean two different things in my profession. “Zero” is so formal. And why should the number signifying nothing get two syllables, anyway? For monosyllables, I kind of like zilch. Naught has a British ring to it. Having said all that, as an autodidactic philosopher, I’m most fond of this. When it comes to pronouncing my unique four-character identifier on the internet, tbc0, say “tee bee see.” The “0” is silent. Shame on me for not making this blog a priority since I upgraded to premium. I’ve been Twittering a lot. Also distracted by Nextdoor. I’ll say this today. I greatly enjoyed the hike around my neighborhood. You need a Strava account to see my route. I don’t believe in luck. Studying quantum mechanics ruined it for me. (Not that I understand the math. Yet.) Well, QM and coming to believe the core doctrines of Christianity. No room for luck. God is Love. That’s as I said today in a “just for fun” discussion; TechWell Hub. (Slack account required but requests are promptly accepted). Milestone: my first post after upgrading to the paid micro.blog service. This ad worked! Lovely and talented wife and I worked late. Missed Shrove Tuesday at church. Settled for IHOP. I’m mourning the death of a man I met through church some years ago. Kyle Forti was in a helicopter crash in Kenya. I saw the story on NBC news. I enjoyed the conversations we had Saturdays at men’s breakfast. God rest his soul and comfort his mourners. He leaves behind a wife and son. Earned my custom domain pin. On hashtags, cf. conversation with Manton et al. Just wanted to note that I understand where he’s coming from. I’m also impressed with myself that I remembered the word folksonomy. I’m still waiting for the semantic web. This stuff isn’t easy to get right. 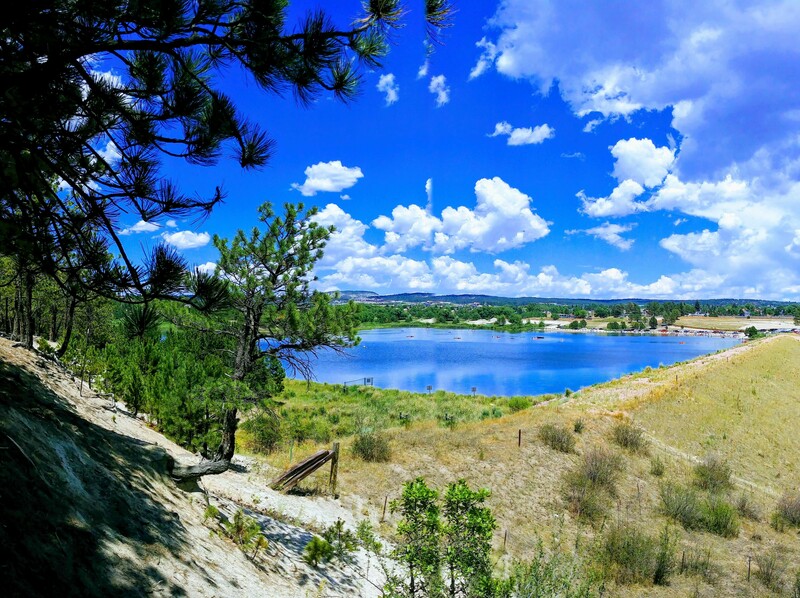 My ninth image is a photo I took at Monument Lake in Colorado. Kudos Google Assistant for the color enhancement. 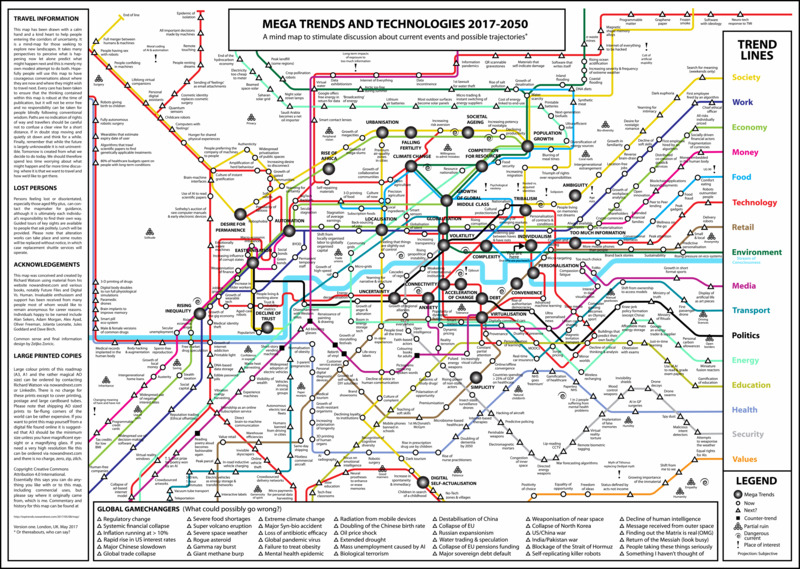 As envisioned and visualized in subway-map style by Richard Watson. 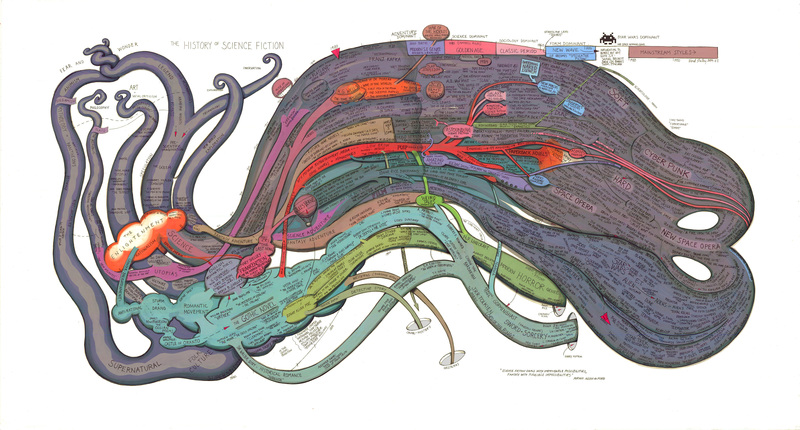 Much to study in this infographic. Follow the trend lines for society, work, the economy, money, food, technology, retail, the environment, media, transportation, politics, energy, education, health, security, and values. Source: toptrends.nowandnext.com/2017/05/08/map/, and here’s a short link to it: j.mp/2EmXgqC. XKCD #1732: Earth Temperature Timeline. And a hat tip to the explain xkcd wiki. This is a big chart, and I, for one, appreciate that the crowd has developed an explanation. Read it. The topic of this post is infographics, not climate change, but while we’re on that subject I’ll admit I have at least two climate change deniers in my family. I’m to the left of them. But I also roll my eyes at those at the opposite end of the extreme scale of reactions to climate change. I’ll lament the demise of Climate Debate Daily. I guess it’s been a few years since I visited it. Three Christmas Eves ago, The hosts announced they were closing down the site. (It will live on at archive.org.) They sought “the strongest and most persuasive essays and articles supporting both sides of the debate.” But they closed on a pessimistic note. “Has the website been a success? It is hard to be sure, but our impression, based on reader feedback, is that it hasn’t. Few, if any, minds have been changed, in either direction. Confirmation bias is a powerful force, and we think that many people – no matter what their beliefs – simply read what they agree with and ignore or dismiss what they don’t. For the record, none of the three editors of the website have been in the least bit persuaded by the climate sceptics’ arguments despite the many hundreds of hours we have spent reading them. We note that after the website started its life on January 1, 2008, new global temperature records were set in 2010, 2014, 2015, and 2016, and that a new record for the Arctic sea ice area minimum was set in 2012 (and almost matched in 2016). These, however, are not the sorts of facts that will change minds!” Maybe I’ll add a climate change category in the future. 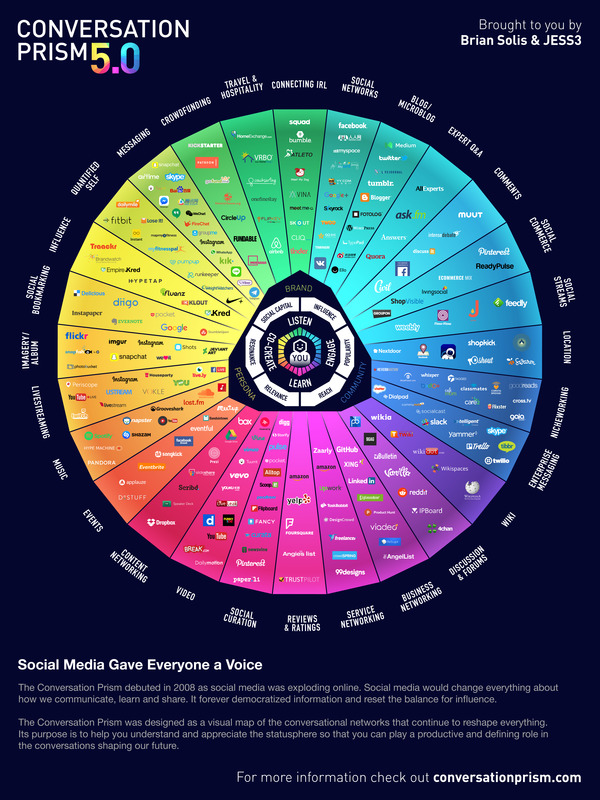 The Conversation Prism 5.0 by Brian Solis and JESS3. Colorful. Dense. Social Media brands in the creators’ taxonomy Less than a couple years old. (4.0 came out about 2013.) Do you think the color wheel is too much? I’m not seeing the descriptive categories mapping to it very well. Overall it does what an infographic should. It prompts me to think. 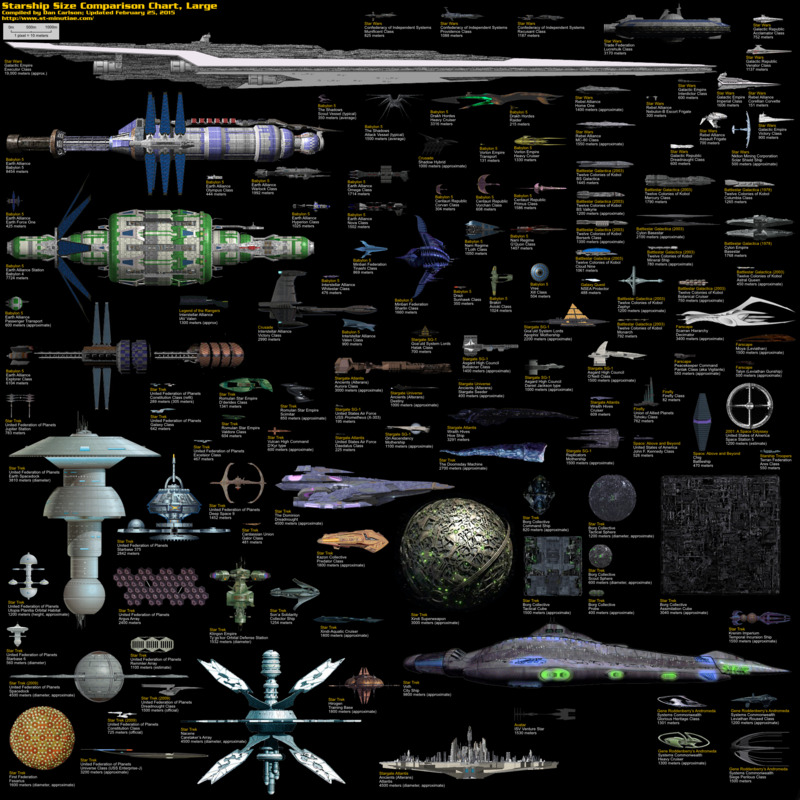 Dan Carlson maintains a page comparing sizes of starships and other objects from many science fiction stories (small, medium, large, and huge): Starship Size Comparison. I like the large one best because it features the Star Trek Doomsday Machine. Visit his page to read his explanation about why he doesn’t compare anything to the Star Wars Death Stars. I’m not feeling it tonight. Third check in the box for my Photo Challenge pin. My feelings don’t diminish this thought-provoking infographic, though. A Perspective on Time found at Visual.ly. This infographic shows American political parties between 1820 and 1860. Now I have to admit my poor record keeping. I don’t know its origin. However, Marty Duren blogged about it, and he says it came from learnnc.org. I can’t find the exact URL. Rats! Didn’t even have a single streak after writing a flurry of posts on my first day here (g0220a). Starting over to earn my Photo Challenge and Daily Blogger pins. Oh, and I guess qq is a third convention I just introduced. I’ll write more about that later, too. I do want to tip my hat to my friend d3matt. Years ago I discovered that he, too, has a habit of prefixing words with qq. Great minds think alike. I’ll also write at some point about the importance (IMHO) of unique symbols (case-insensitive) on the internet. I don’t have to call d3matt by his name. Too long. TBC is too common, so I claimed tbc0 as mine. The shorter the better. Even RMS and ESR don’t own their initials. Haha. And the CEO where I work is RTD, but I refer to him as qqRTD. I want to earn my Photo Challenge pin. 7 days of “photos.” I hope the photos don’t have to be JPG. I love infographics. I have some cached. Here’s the first to kick things off. XKCD #1810. 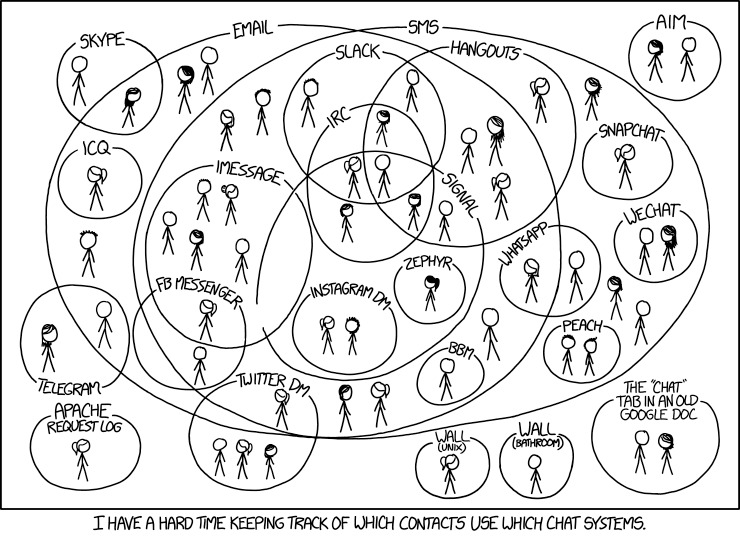 Chat Systems. And with this I will earn my Photoblog pin. Following @nathanrhale after finding A prayer before meditation. 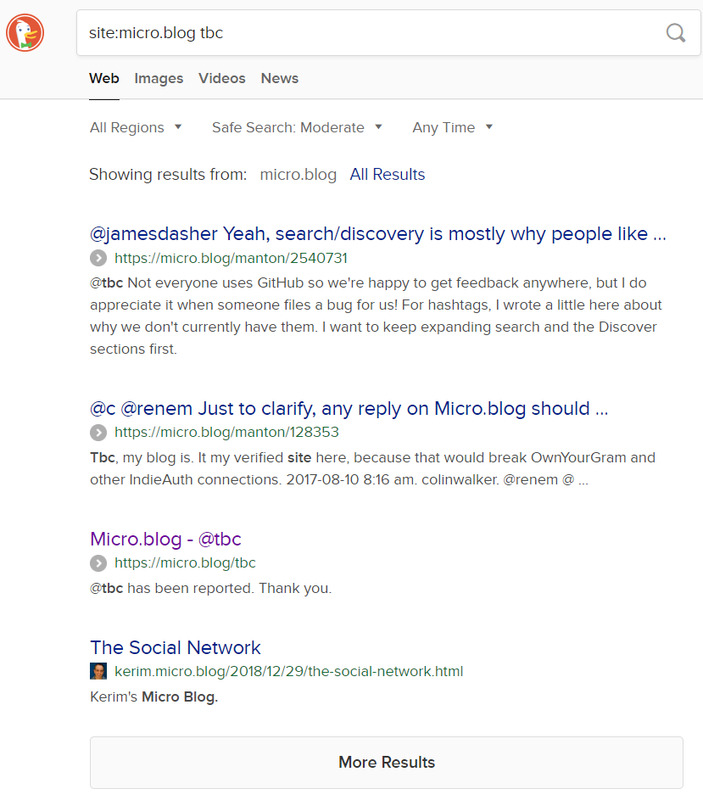 I though I’d heard of micro.blog before. Now I remember! I first heard about it from @ayjay. I believe it was April 19, 2018. 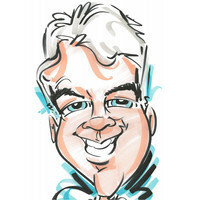 Pleased now to be following him here, especially since tonight I see that twitter.com/ayjay is 404. © 2019 tbc aka tbc0 aka Tim Chambers. Follow @tbc on Micro.blog.